Being rear-ended by a bus can potentially cause serious injuries to your head, neck, and/or spine. This is in addition to similar injuries suffered by your passengers and almost-certain property damage to your vehicle. In the moments immediately following a bus crash in which you are rear-ended, you have a number of decisions to make. Some of these decisions can have a serious impact on whether you will be able to receive compensation for your injuries through a bus accident lawsuit. Question 1: Should you seek medical attention? Some individuals may feel uninjured after a bus crash and may decide not to see a doctor or other medical professional for an evaluation. There is no law that requires you to obtain medical treatment or be evaluated after an accident. But choosing not to do so, even if you feel uninjured, can make it difficult to recover compensation for injuries that surface later. Question 2: Should I speak with the bus driver? You may be tempted to speak with the bus driver following the collision. You may want to do so to exchange information about your names, addresses, and insurance information. Be careful what you say to the bus driver or to any other witness to the crash. Do not say you are sorry or apologize as statements such as these can be seen as an admission of guilt, limiting the compensation you are able to receive. Question 3: Should I take pictures? Some bus crash victims may be physically able to take pictures of the accident scene but choose not to do so. It may be a good idea to take your own pictures, though. Sometimes police may not take pictures that clearly show the accident scene and/or your injuries. By taking your own pictures, you preserve this important evidence for later use during settlement negotiations and/or a lawsuit. Question 4: Should I settle my case? Except in cases where you are clearly at fault, oftentimes the insurance company for the at-fault driver will approach you with a settlement offer. In return for quick payment of a compensation award, you agree not to pursue additional compensation through a lawsuit. You must carefully evaluate whether a settlement is in your best interests. While a settlement does allow you to obtain compensation quickly, in some cases the amount of compensation you receive as a result of a settlement may be less than the compensation you need to meet all of your expenses and losses. Question 5: Should I go to trial? Just as you can decide to settle your case before trial, you have the ability to decide whether you wish to file a bus accident lawsuit at all and whether to take this case to trial. Your decision should be influenced by the likelihood of success, the costs you might be liable for paying regardless of the outcome of the case, and what the potential recovery is compared to your expenses. An experienced bus accident attorney can help you evaluate these factors. 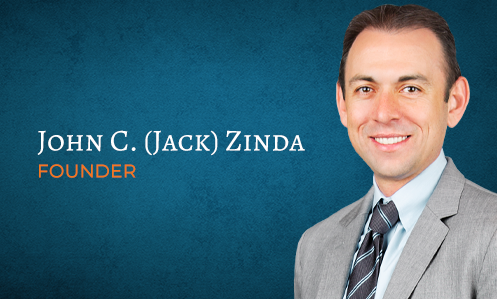 At Zinda Law Group, we understand that the hours and days following a bus accident are traumatic. It is easy to become numb to the situation you are facing and hesitate to act. Our job is to help you understand the different options you have before you and help you make the right decision for your situation. This may involve accepting a settlement or taking your bus accident injury case to trial. In some extreme cases, the best decision for you might be to do nothing at all. We can help you make sense of this tragic time in your life. Contact us at (800) 863-5312 to schedule a consultation with one of our bus accident attorneys.